Hi guys! Valentine's day is right around the corner and I miss the days of making Valentine's for my kids' classes. I mean, I love having teenagers, but they aren't super enthused about passing out cards anymore. I've taken to giving Valentines to my own friends just for fun. 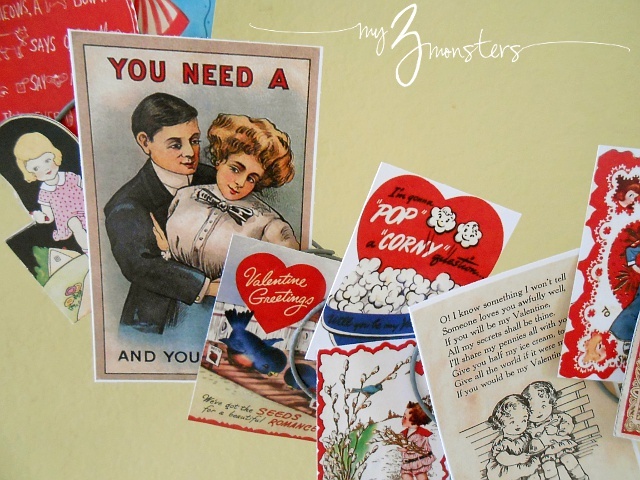 Today I've thrown together a quick roundup of some of my favorite Valentines here on My 3 Monsters over the past few years.